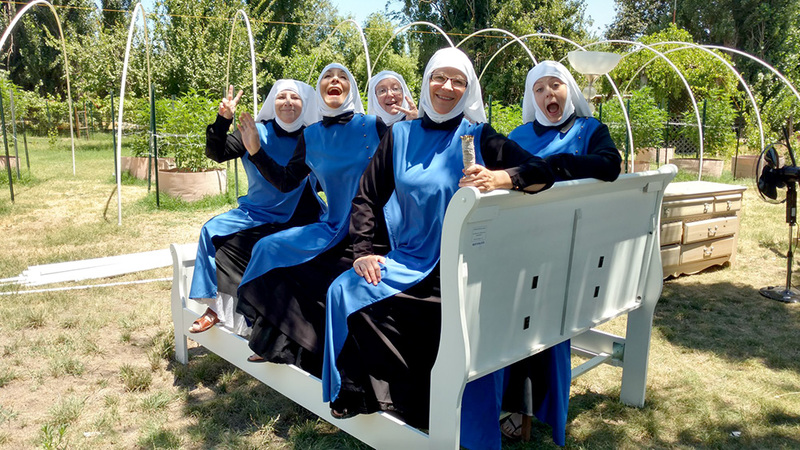 The Sisters of the Valley is a newly born, new-age group of Sisters whose fundamental mission is to get plant-based medicine into the hands of those in need – and to do that in a responsible and sustainable manner. 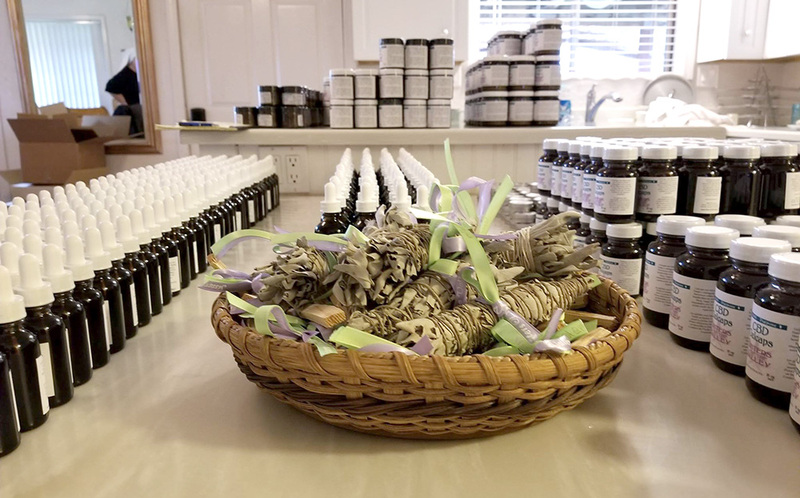 The mission is supported by their founding principles, which are to honor Mother Earth and her intelligent plant, provide a valuable product to the people, empower other women to succeed and participate in peaceful progressive activism. The nun persona came about after you dressed as a Catholic nun during a Wall Street protest in 2011. How did the role evolve and where Hemp come into the big picture? Sister Occupy, which was an anarchist statement and begun with no intention for formalization, became a sisterhood after four years of lenghty debate and discussion. If we had a chance to start over with religion, what would that look like? If we had women run religions, what would that look like? If we were to replace the going-extinct Catholic nun with something else, what would that look like? The answer is – a Beguine-revivalist movement. The Beguines couldn’t make it through the inquisition because of two reasons. 2) they refused to align themselves with one church, they were scholars of all religions. Tell us about Sisters of the Valley and how it all started? When Michelle Obama tried to talk to congress about how unhealthy our childrens’ meals are compared to other developed nations, our congress filibustered, wouldn’t listen to a black woman speak (maybe they don’t listen to women speak) and gathered a week later to declare pizza a vegetable as a big ‘f u’ to her. When congress declared pizza a vegetable, I declared myself a nun. That was 2011. By 2014, I had enough people request that I formalize this new-age order, and so I did. In general, the members do not belong to any order, how do the general public receive this? What are you talking about? We are an order. All the members of our enclave belong to our order. We do not affiliate ourselves with traditional or contemporary religions. Is that what you meant to ask? A few dumb-asses like to challenge us, but most people understand that we are a new age order of healing women. We are spiritual and we work in the field of holistic healing. Besides, all we really have to do is not molest children, and we should be fine. The bar is low for religions on this planet. For that reason, we prefer to be called a cult – to being called a religion. We are actually a woman owned business that aspires to create many more women owned businesses. Our job is to midwife matriarch rule. An ordinary day for the Sisters of the Valley, what does an average day look like? We value hard work and silence. So every sister has her own work and her own schedule. The day is very different depending on who you are and what you do. I couldn’t begin to tell you the average day for Sister Rosa of Sweden, who works on our books. Or Sister Maria, of New Zealand, or Sister Flora of Brazil, who are working to get farms set up in their countries. Or the average day of our six sisters in Canada. I don’t know. We prize accomplishment and humble, quiet work. Over the last few years you have been running an online shop selling hemp based CBD products. 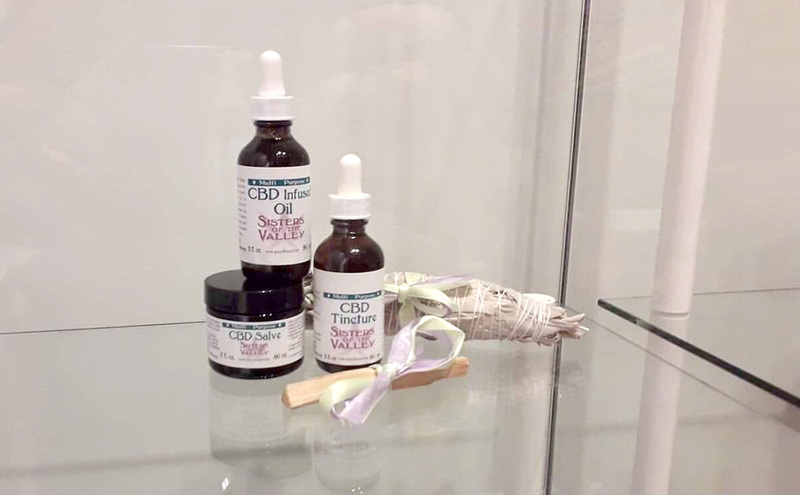 With the explosion of CBD products currently worldwide, have you seen a spike in sales? Our first year of sales averaged $165 a day. Our second year, $2,000 a day. Our third year, $3,000 a day. We are in our fourth year and we are averaging 4,000 a day in sales. We have two houses on a one-acre plot and 8 employees. We sell out of everything we make and are investigating robotics. So no spike. Just steady, reliable growth. All that we make we sell. We will be manufacturing in CAnada by the year end to address worldwide wholesale demand from stores. We can’t sell to the world’s stores from a Trump nation. We would prefer that to be serviced from a Trudeau nation. Because we aren’t stupid. Your CBD products are not prepared in the normal circumstances, please explain the spiritual circumstances and cycles of preparation? We prepare all our products by the cycles of the moon. We do that as a meditation to be in touch with our ancient mothers. It is how they would have done it. Years ago, the processing was done in your home. With expansion of clients and sales how has this process changed if any? We still live where we make our medicine, but we are also beginning to talk to partners for manufacturing in more traditional settings. We will still do everything by moon cycles and we will still do the ceremonial pieces that go with our manufacturing. Blessing of the tools, the hands, prayers over the batches before they are moved, new moon and full moon ceremonies. With the landscape of Cannabis and Cannabis products changing worldwide, a lot of countries are dropping their barriers and changing laws. In your opinion how does Trumps America fit into the big picture? Trump’s America is very closed. So we plan to open a wholesale center here to service just America’s stores (we are adaptable that way) and we are opening wholesale centers in Canada to serve the rest of the world. All of our global expansion will come from Canada versus America. Does that make us unpatriotic or savvy business women? We don’t care. There should be consequences for electing a racist misogynist fascist. Those consequences are: America loses it’s standing world-wide and lots and lots of business. 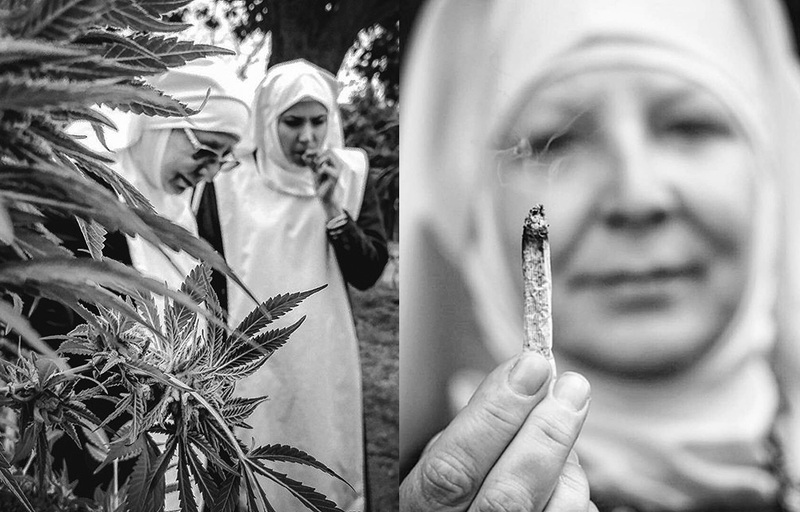 The Sisters of the Valley are set for International expansion abroad, where are the next target markets? We will start with the countries that buy the most products from us now: Canada, United Kingdom, Australia, New Zealand. We have invested heavily in Canada these last two years and look forward to that being our global headquarters. In America, we will serve America. But to serve the world, we can’t be in America right now. Not while it’s a trumpster dumpster. CBD is helping many people worldwide cope with many different health issues ranging from sleep disorders to chronic pain. What is the general feedback from your customers regarding your products? We have collected all our testimonials from the beginning of time (non solicited) on our website www.sistersofthevalley.biz. Many report getting off of pain pills, and the rest, every condition you can imagine. Seizure control or elimination, migraine, muscle and joint pain, fibromyalgia, nerve disorders, sleeplessness, you name it. CBD works with the body to help it heal itself. I can’t think of a condition it hasn’t helped. Long term plans for Sisters of the Valley, you plan to sign up new orders in various location worldwide to assist with your expansion. What is the process for taking on new orders for global expansion? We are currently shipping our products world-wide and we have since day one. There is no place in the world people can’t get our products: we ship everywhere. We tell people that if customs takes your shipment or demands cash, don’t answer them. Let them keep it, they suffer too. Tell us at [email protected] and we immediately re-ship. That has been our policy for 3.5 years. We rarely – I mean hardly ever – maybe once or twice a year now, get a seized package. It’s because no one comes to claim it and we re-ship and it always gets there the second time. I tell people all the time, “We ship to Russia, China, Vietnam, the Middle East, and even scary places like Alabama and Tennessee.” (tee hee). We put a note to the inspectors in every box letting them know that this is non-psychoactive and healing and that there is a special place in hell for people who get in the way of other people’s healing. It’s worked for us, so far.